Food truck festivals offer a great way to sample a variety of different flavors in a fun, family-friendly setting that won’t break the bank. All of the festivals that made our list present some of the best food trucks in the United States which gather from the surrounding areas to let visitors indulge in their culinary creations. In addition to great food, you will find live music, handmade crafts for sale and plenty of entertainment for kids. The Columbus Food Truck Festival is an annual summer event that takes place every August and celebrates Ohio’s unique and delightful cuisine. 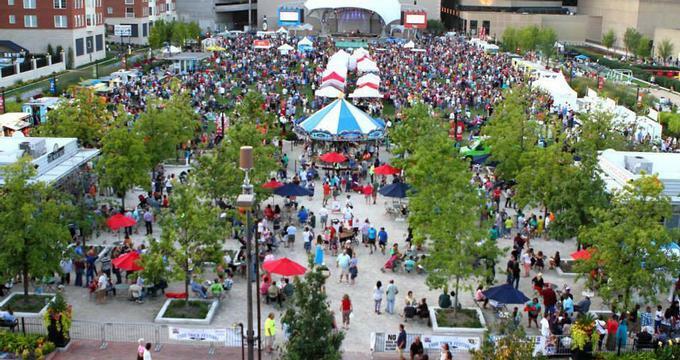 Held at the Columbus Commons in August, the festival is a fantastic, three-day event that features over 70 of the best food trucks throughout Ohio, accompanied by live music, vendors selling handmade arts and crafts, and a variety of fun activities for the whole family. An old-fashioned carousel and jumping castle will keep the kids entertained as you make your way through the culinary delights. Delectable dishes include popular local trucks such as Tatoheads, famous for its fries and amazing dipping sauce, and Pitabilities which serves fantastic Mediterranean-American fusion cuisine wrapped in a pita. You will also find the Paddy Wagon, Schmidt’s Sausage Truck and Aromaku. Where & When: The Columbus Commons in Downtown Columbus, Ohio on August 14, 15 and 16, 2015; Noon-10 pm Aug 14 and 15th, noon-6 pm Sunday. Food lovers, aficionados and families alike will come together to enjoy an array of delicious food truck fare at the Chicago Food Truck Festival in June. The festival will play host to the city’s best local food trucks and vendors presenting their wares, live music and entertainment. Food trucks will include The Fat Shallot, one of America’s most popular food trucks, whose delicious made-to-order sandwiches are well known throughout the city, Bombay Wraps for mouth-watering Indian cuisine, Taquero Fusion for Latin-American cuisine and tacos with a twist, and Gino’s Steak Truck for out-of-this-world steak and chips. Where & When: Armour Square Park by Cellular Field on Saturday, June 27th & Sunday, June 28th, 2015 from Noon to 10:00pm. Admission: Free but a ticket is required and you pay for food; VIP admission is $5 and includes 1 hour early admission. Summer sees Pasadena’s Rose Bowl filled with food trucks, carts and stands, chefs and cooks creating mouthwatering cuisine at the annual L.A. Street Food Fest. 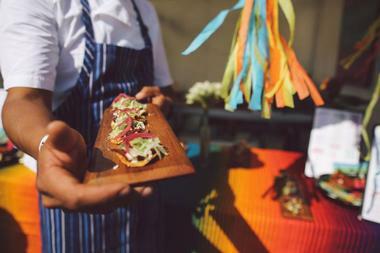 Boasting over 100 vendors offering delicious local and international fare, as well as a range of beverages to boot, the food festival has become one of the highlights on L.A.’s event calendar. For the perfect grilled cheese, head to the Grilled Cheese Truck; go Hawaiian at Aloha Plate; and for a spicy bite try Luckdish Curry or Currywurst. And if it’s Mexican you crave, Mariscos El Mazateño, Tacos Kokopelli and Aqui Es Texcoco won’t disappoint. Other food trucks include Urban Oven, Short Order and Kitchen Mouse Vegan Café, while an Iced Coffee Lounge and the popular Tequila Tasting Tent will quench your thirst. To avoid the crowds, go VIP, which includes private parking, a tasting lounge and all you can eat or drink. Where & When: The Rose Bowl in Pasadena on July 11, 2015 from 6pm - 10pm, or 4pm to 10pm with early admission. The Cost: General admission is $60; VIP early admission is $90. 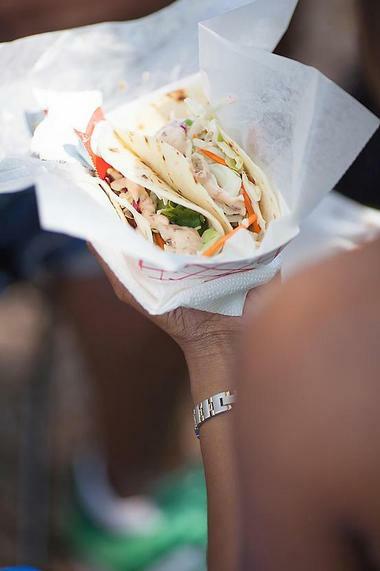 The Atlanta Street Food Festival is a world-renowned food festival held every year at the iconic Piedmont Park, which has a rich history dating back to 1822. Once a vast forest, the park evolved from a farm into a suburban park, which plays host to the fantastic food festival today. Held during the summer in July, tempting eats include everything from stacked panini and freshly made sushi to tantalizing tapas and fruit-filled popsicles. 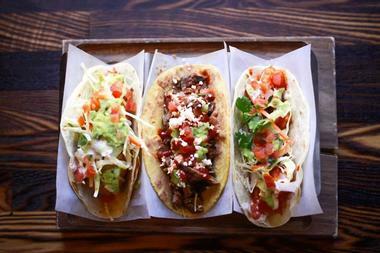 There is a range of food trucks, including Tex’s Tacos, King of Pops and Smiley’s Street Eats. Listen to a variety of live music and entertainment while you browse local vendors’ handmade wares. Where & When: Piedmont Park on July 11, 2015, from 12pm until 10pm. Boasting over 50 food trucks and an array of local food booths, vendors and restaurants showcasing some of the best cuisine in the Northwest, the Seattle Street Food Festival has become the largest independent food festival in Washington State, attracting more than 85,000 people over a three-day food extravaganza. Founded to offer an annual celebration of Seattle's growing street food scene, as well as to support local communities and small business, the festival is one of Seattle’s highlights, with over 50 booths of delicious and mouthwatering culinary delights to try. This year’s line-up will see the likes of favorite food trucks such as Brown Bag Baguette, Evolution Revolution and Tokyo Dog, as well as pop-up stands such as Athena’s Gyros for authentic Greek fare, Lemongrass for a culinary journey to Vietnam and Drunky’s Two Show BBQ for good old ribs and chips. Where & When: The South Lake Unio neighborhood of Seattle on August 15-16, 2015. 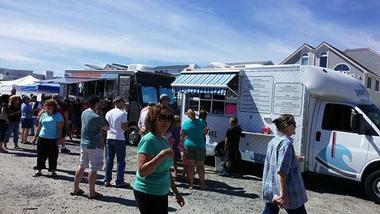 Located in the heart of Cape May County, the Sea Isle City Food Truck Festival is a three-day festival of food and fare, live music and entertainment and an array of foodie fun for the whole family. Aiming to showcase all the best food trucks and their delectable offerings from the Tri-State Area, the festival will play host to up to a dozen food trucks, boasting handmade food, craft beer, sublime cocktails and some of the best sweet treats in New Jersey. Held in June and September, some of the trucks that can be expected include Harry & Beans, Shore Shake, Sum Pig and Zinna’s Bistro, amongst others. Don’t miss the out-of-this-world waffles at Waffles De Lys, or steaming lobster rolls from Marie’s Seafood Truck. Where & When: Kix McNutley's, 63rd and Landis Avenue, Sea Isle City, NJ on Friday Noon - 9pm, Saturday 11am to 9pm, and Sunday 11am to 4pm. There are two events this year: June 26-28, 2015 and September 11-13, 2015. 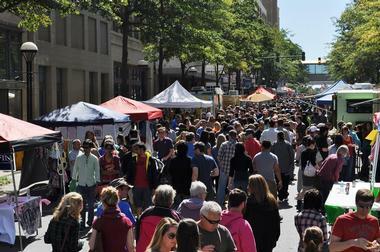 Started by the Main Street Revitalization Committee to bring people back to Main Street, the Main Street Food Truck Festival is a celebration of food, music, art and craft held every fall in downtown Little Rock, Arkansas. More than 30 food trucks will be offering delicious homemade treats, such as eggs benedict with smoked salmon, handmade traditional Mexican tamales, and primal biscuits covered in paleo gravy – a perfect way to start the day. Sip an iced coffee float as you stroll around the stalls and trucks to the sounds of live music from local bands. Where & When: Main Street from 4th to 8th streets on October 3, 2015. 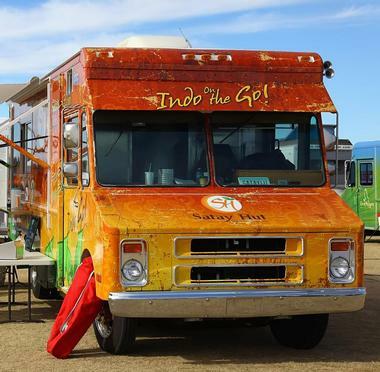 Food trucks, cooking demos, live bands and eating contests - the Street Eats Food Truck Festival in Scottsdale, Arizona promises to be two days of street food mania and foodie fun. 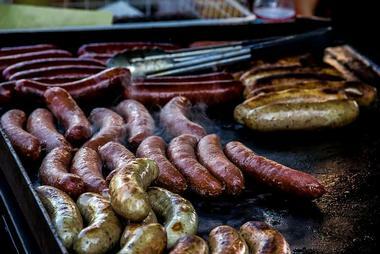 Boasting the largest collection of food trucks in the Southwest, the festival takes place in late January/early February at the Salt River Fields in Scottsdale and includes live music from local bands, cooking classes, cocktail and beer bars, and of course, food trucks galore. Aside from fantastic fare from a variety of food trucks and vendors on site, visitors can participate in fun-eating contests, ranging from hot dog and donut eating contests to a ‘Muchie Mow Down’ for those with a sweet tooth. The latest tricks of the trade can be learnt from cooking demos and classes held by professional chefs. Where & When: Salt River Fields at Talking Stick in Scottsdale; late January/early February, 2016 from 11am - 6pm. Eat The Street is a popular street food event take takes place on the last Friday of each month in Kaka’ako on the island of Oahu. First held in 2011, the festival has grown into a celebration of local Hawaiian street food and culinary talent, which now sees over 40 food vendors displaying their wares to more than 7,000 people every month. 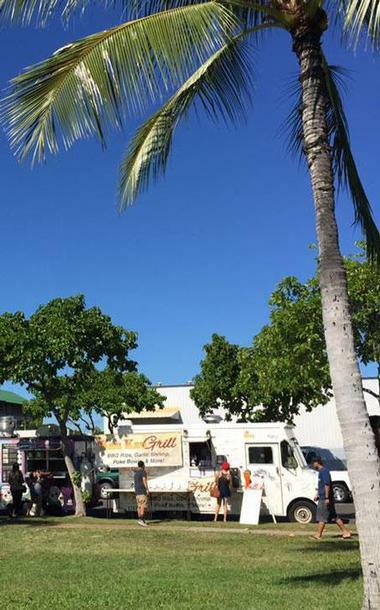 The festival plays host to several of the island’s most popular food trucks and street food vendors, such as Aloha Plate (the winner of the Great Food Truck Race), Elena's Filipino, Hawaii's Fried Musubi, Kau Kau Grill, Girls Who Bake, Hawaiian Twisted Tater. 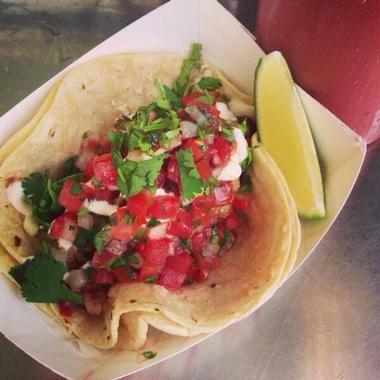 Where & When: Last Friday of every month at Kaka'ako Gateway Park from 4pm to 9pm. The event will move back to its usual location at 1099 Ala Moana Blvd in Kaka’ako in the summer of 2015. The Taste of Three Cities is an impressive food truck gathering featuring 60 food trucks from Baltimore, Washington, D.C. and Philadelphia. In addition to tasting great food, visitors get to watch a fierce competition among the three cities judged by local celebrities, food experts and attendees. Awards include cash prizes and the Triple Crown Cup. Visitors can cast their vote from their phone as their make their way through the delicious eats. The event originally started as a competition between Baltimore and Washington, D.C. In 2015, Philadelphia joined in with their best food trucks. 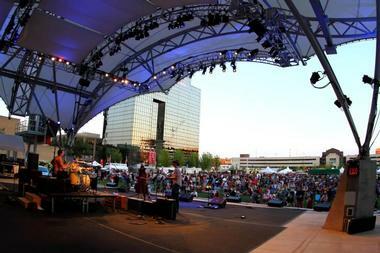 The festival includes live music and entertainment for guests of all ages. Food trucks will include LaCakerie, The Cow, The Curd, GrrChe, Philly’s Finest Sambonis, The Cow and The Curd, Jimmy’s Famous Seafood, Flavor Cupcakery, Red Hook Lobster and Korean BBQ Taco Box. Where & When: Xfinity Live! in South Philadelphia on May 9, 2015 and Patterson Park in Baltimore on June 6. The Washington DC event already took place in April. Admission: General admission is $15 ($20 at the door) plus the cost of food; VIP admission is $65 ($75 at the door). The ticket gives you one vote for the Peoples Choice awards. The Family Fun ticket starts at $35 and includes 2 adult, 2 kids, and access to all family fun activity zones. 10 Amazing Ranch Vacations in the U.S.